Unfortunately, for those of us over 50, the use of baby oil to intensify and accelerate our tans when we were young is now coming back to bite us in the fanny as the dermatologist bills continue to mount. To be honest I’m not sure how many of us would have paid attention to the warnings of UV overexposure anyway. Vanity seems to override safety particularly when we are young. But now that we are paying the price of cavalier youthful sun worshiping, sunscreen is particularly important to ward off further sun damage for us and those of any age. 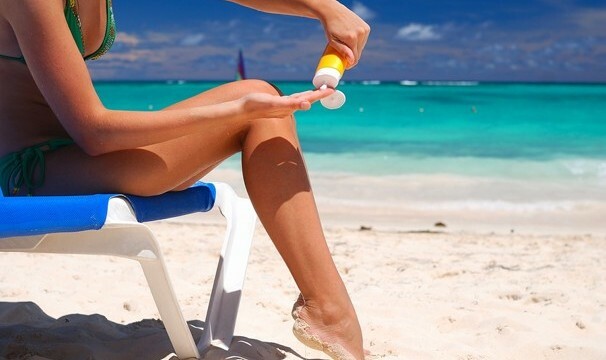 Here are a few pointers about sunscreen to keep in mind as you prepare for the Summer months. Expensive sunscreens are not necessarily better or stronger. The standby brands such as Coppertone, Hawaiian Tropic and generic store brands from Walmart, Walgreens and Target have been proven to efficiently deliver the protection their labels advertise. According to experts, sunscreens claiming high SPFs such as 80 or 100 are making unrealistic claims. Sunscreens claiming 15 and 30 SPFs are more in line and have more of a possibility of delivering the protection they offer. Even though your sunscreen says “waterproof” or “water-resistant,” you should reapply every hour or so as it does wash off or sweat off during outdoor activities. This is where users get into trouble as we give ourselves a false sense of security with one application. Regardless of whether we go near the water or not, re-application is a must. One application of sunscreen at the beginning of a whole afternoon at the pool or beach just isn’t going to supply the protection needed to ward off those intense mid-day UV rays. Finally, sunscreens are only good for about two years so make sure you replenish your supply periodically. A bottle of sunscreen that’s been sitting on the shelf for four years is completely useless. It’s worth a new bottle to insure full protection but make sure you follow the instructions and reapply as needed. Spring Has Sprung...Time To Start Working On That Tan!